i've been working on a little side project this summer with my dear friend laura, shop-owner of JOHAN'S SON. (fun fact, laura was my sister's roommate in college). together we designed a couple of funny little tote bags. they're the first part of our HEY NATALIE JEAN + JOHAN'S SON collaboration line. (look for more pieces around christmas time!) i am stupidly giddy over these totes. laura's shop is a little love letter to sweden, and these totes are little love letters to three of the most important ladies in my life, inspired by the questions i like to ask myself any time i find myself in an impossible situation. iiiiiiin the mean time, every year on my birthday i try to hold a little giveaway for my readers, because i think you are all the raddest and because birthdays are the best, i will think that til i'm dead. 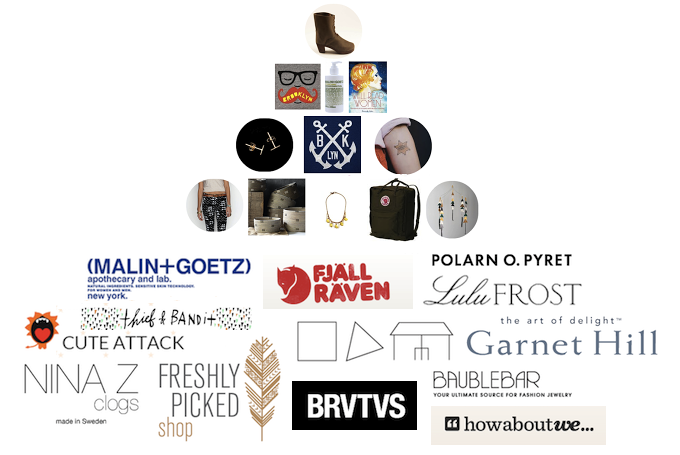 this week to celebrate my birthday and the entire holbrook birthday season, we're giving one lucky reader their choice of tote bag, which will arrive positively stuffed with all of my most favorite things. a copy of a well read woman, from the author herself! this is an instagram giveaway! so to enter, please instagram your tote bag of choice with the hashtag #happybirthdayheynataliejean. 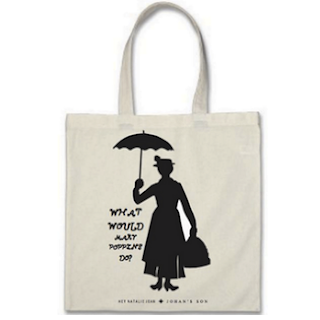 in the caption, tell us: what would kathleen kelly, mary poppins, or anne shirley do, were she in your situation? (this can be in relation to something personal in your life, or not at all, i mean, have at it!) please make sure you are also following both me and johan's son. our winner will be chosen friday and contacted privately, and packages will begin arriving on your doorstep the middle of october. good luck and happy instagraming! **for private accounts: please leave a comment under this post saying "posted and private" or something to that effect for your entry to be counted. Ha! I love the technical assistance. Lovin' these totes!! Anne Shirley for me please! Happy Birthday! I went right on instagram and entered! This is positively the best giveaway anybody has ever hosted, ever. Here is hoping! oh thank you for the reminder! you can just comment here saying "posted and private" or something to that effect. I can picture Kathleen carrying hers through the streets of NYC with a good book and flowers poking up through the top - daisy's of course. I was so happy to find you...because, my name is Natalie Jean, also! I'd love to help celebrate your birthday; sadly, I don't use Instagram. Maybe I can have my son help me enter this. anyway, hope you have a wonderful celebration of your special day! Is this open to fabulous Canadians?! LOVE the goodies. You have such good taste! i am anne shirley obsessed! i was just quoting miss shirley last week, "tomorrow is fresh with no mistakes." ahhh i mean miss stacey! monday brain over here. Yay!!!! Entered!!! Fun fun fun giveaway!!!! ♥ Thanks!! This is the coolest giveaway ever. Like seriously, love it! Such a great giveaway, Nat! I don't have an instagram :( Hope I can still enter! Posted and private. (@drelledgen) "What would Mary do? Help me organize my house -- a place for everything and everything in its place! #happybirthdayheynataliejean "
I can't decide between Anne and Mary?!? I think I'm an Anne girl at heart. I've posted but I'm private. Happy Birthday! We celebrate all of our birthdays and our wedding anniversary in September. Posted and Private @runnerday. I also think you should know this post made my day and reminded me to think of what these women would do. Thanks! so glad you give the option for us private instagrammers to enter! So hoping I win! posted and private! (instagram account: @cait_kinney) Happy birthday! posted and private! This would be so fun to win! Fingers crossed! Hope our birthday is filled with all sorts of wonder goodies, including raspberry cordial, bouquets of sharpened pencils and spoonfuls of sugar. This giveaway is seriously the best! Happiest of Birthdays to you! "when you read a book as a child, it becomes a part of your identity in a way that no other reading in your whole life does." Kathleen Kelly in my shoes today would buy some daisies since they are the friendliest of flowers. yes yes and a million times yes. 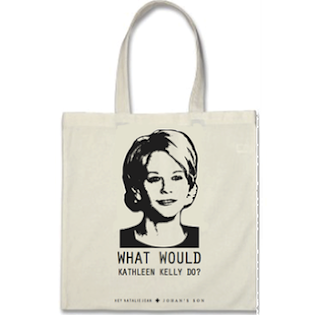 even if i don't win, as soon as i have extra spending money, i will buy that kathleen kelly bag, i will, i will. she absolutely would. heading over to instagram! Following both you and Johan's Son, posted the Anne Shirley bag and private: @hi_deanna. Thank you for such a fabulous giveaway! Love these tote bags and cannot wait to see some more stuff at Christmas time. Very excited to look around Johan's Son shop site a little more. Wishing you many blessings in your new year. Happy Birthday! posted and private @cmonayyy ugh, that kathleen kelly bag is amazing. Posted but private. Fantastic giveaway! Posted and private! October birthdays are the best! I eek in on the last day, Halloween! Happy birthday Natalie Jean! Posted and private! @feliciacoop: "Kathleen Kelly would rearrange her bedroom furniture" (and it's still September 30th in CA time, so hoping I still count!) Happy birthday! MY FAVORITE quote is from Ms Shirley herself! Because hell things always are a little easier when you look like one hot mama! Posted and private and following, of course. :) Love from AZ and happy birthday! Pleaaaaase tell me this giveaway is available worldwide? Would be awesomest! Posted and private, @katiedehner. Happy birthday season, Holbrooks! Posted and private; @ala77. Happy Birthday! Posted & private @Catherinesray1. Mary Poppins would help me find a way to get my son moving a little quicker in the mornings. Happy birthday! So sad for me. I have neither a smart phone or an instagram. :( Oh how I would love to win this. This is such an amazing giveaway. Posted and Private. Happy Birthday!!! These totes are fantastic, I will be picking one up for sure. At this point in my life "What would Mary Poppins do?" is a constant for sure. posted and private; this is perhaps the greatest, coolest, most fun giveaway I've ever entered!! and HAPPY BIRTHDAY! 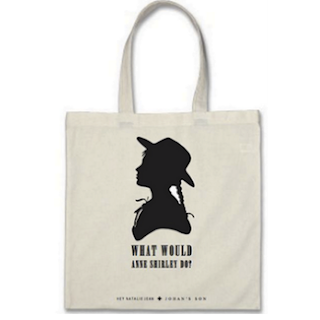 Posted and private ( the what would Anne Shirley do tote) Love! Posted and Private @penelope878 HAPPY DAY OF BIRTH!!! WHOA amazing giveaway! I just posted (not private, but it's @frecklesinapril). Don't you just love New York in the fall? Happy bday!!! I love that you're hosting a giveaway to mark the occasion. Crossing my fingers, eyes, and whathaveyou that I win. I posted and it's fully public and out there. Posted and private @glasgowlaurie Anne Shirley for me. Always, always Anne Shirley. Posted and private (@jessykubal) Happy birthday! Mine is in October as well so I'm enjoying this birthday season! Posted and private (@lissacris8) Happy birthday Season! I love reading about you and your wonderful family. I don't have instagram :( This is an amazing giveaway! posted & private! (sarahanderson83) thanks a ton! Posted and private! An amazing giveaway. THIS IS INCREDIBLE. Posted and private. posted and private. Birthdays should always be celebrated! Positively tickled over this bundle of birthday goodies! Needed a pick me up today so I watched good ol Kathleen while I entered this giveaway :) (@peytondeleon11) Thank you! Here's to wishin! oh, and you should know, it was a really tough choice between kathleen & mary p, i feel rather torn. happy birthday!! POSTED! & private (@toricarlton)... Oh I would love Kathleen Kelly. Oh how I love me some Kathleen Kelly. Posted and private. I love both blogs!! Posted and private. I literally gasped at all the awesomeness that went into this. Recent changes have left us with severely tightened belts, but that doesn't stop me from lusting after all kindsa consumerist happyisms for myself and the Little Dude in my life. posted and private :) i would obviously love to win, but i might have to buy the tote no matter what. i can just see using it as a library bag! First of all: HAPPY BIRTHDAY and thank you for this wonderful giveaway. I can't believe the amount of goodies, the tote itself would make the perfect giveaway already and you're filling it with even more great stuff! Posted on my instagram, which is private (@lauraincal). I have loved Mary Poppins since I was a little girl, and now that I moved into my first real own apartment (one without roomates) I could use Mary to help me make it comfy and my own. Posted and private @traciebomb. Happy birthday lady! Would Anne have entered this giveaway? I think not. So, we'll just say that my loving kindred spirit entered for me. Here's hoping for a little Rollings Reliable kind of luck! Posted from Instagram name "vlhm", and I'm oh so private. Happy Birthday, Natalie! happy birthday!!! posted and private! I chose kathleen kelly! i'd love to win!! Posted & Private. What an awesome giveaway! Have a Happy 31st! I don't have a smartphone, ipad, or anything to do instagram on - but I do love your blog and I do love the items on this giveaway, so, I'm commenting and hoping this will count for an entry :) Mary Poppins makes an adventure out of everything - which is what I need in my life right now - a little more daily adventure! Happy Birthday, Natalie! Happy birthday miss Natalie!! I am private on Instagram (@laceyhorstthomas) but I did post! Anne Shirley would get such a thrill from wearing a dress with puffed sleeves! Posted, but private (@anaandthecat). Happy birthday by the way! Posted and private! Anne would most certainly get in trouble for getting muddy in all the rain we've been having in the PNW! Posted and private! That Anne Shirley would marry the handsomest doctor this side of Prince Edward Island. posted and private: Kathleen Kelly would twirl. (@alicavazos) I hope the Holbrook birthday season continues to shine! Kathleen Kelly would grow some butterfly wings and take the subway to Bloomingdale's to buy a hat (which would turn out to be a mistake, as almost all hats are). Hope your birthday was fab and that this turns out to be your best year yet!!! Posted but private. @cmsessions. Anne would probably wallow in the depths of despair for a while. But then she would get a haircut and totally own it! Yay for birthday season! Mine is in 2 weeks! Posted but private. Anne would definitely win this giveaway. Are you selling the Kathleen Kelly tote anywhere? I know this is an old post, but I have a friend who would love it! Thanks so much. I know this is an old post, but are you selling the Kathleen Kelly tote anywhere? I have a friend who would love it! Thanks, Hope to hear from you soon!